Back in 2011, when I started with Hixny, all three of my kids were under age 5. We knew that they’d eventually hit the “donut hole” that prohibited healthcare providers in New York from using health information exchanges (HIEs) like Hixny to share and locate the records of children ages 10 to 17. In those days, providers in our region were just beginning to connect to Hixny. So when my daughter broke her arm, my wife took her to the pediatrician, who was connected to Hixny. My wife took her and the orders to the radiologist, who performed the X-ray and then printed it out. Finally, my wife was able to take our daughter and the X-ray to the orthopedist who would set the bone. Except … she is now older than 10, which means that until the beginning of this year, her doctors couldn’t have used the HIE to exchange her records. For a 9-year-old with a broken arm, they could. 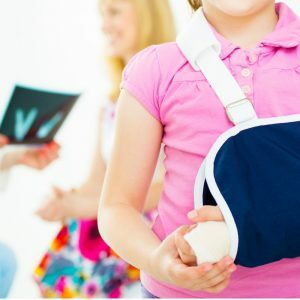 For a 10-year-old with the exact same injury, they couldn’t—they were required to use the older techniques of printed or faxed results, orders and images. That’s why we’ve worked hard over the last two years to eliminate the gap. I took the job here at Hixny because I wanted to make an impact on my community and on healthcare that benefits my friends, family and neighbors. Ensuring that health records for people of all ages can be shared electronically through the state’s network of HIEs is an accomplishment that makes me proud. As of last month, the donut hole is closed. Curious about the changes? Below are several links I think you’ll find interesting. Read the answers to frequently asked questions about the changes.